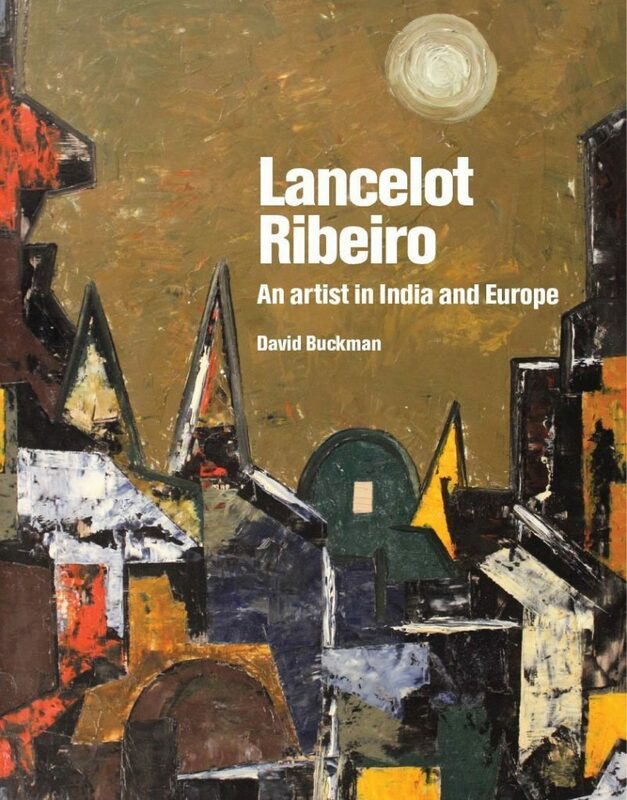 Lancelot Ribeiro was one of the most original of the Indian artists who settled in Britain after the Second World War. Although there has been a surge of interest in art of the sub-continent in recent years, with works by such artists as Ribeiro’s half-brother F N Souza, S Bakre, Avinash Chandra, V S Gaitonde, M F Husain and Balraj Khanna sought by international as well as Indian collectors, Ribeiro remains largely neglected. David Buckman has been a journalist and author for 50 years. After the first edition of his dictionary Artists in Britain since 1945 appeared in 1998 (second, revised and expanded, edition, 2006) he concentrated on arts writing. He contributed to Macmillan’s The Dictionary of Art and Brian McFarlane’s The Encyclopedia of British Film. In 2012 Francis Boutle Publishers published his From Bow to Biennale: Artists of the East London Group. He is an advisor to the Public Catalogue Foundation and a council member of The Critics’ Circle. An exhibition at Burgh House, a film and talks form part of a heritage project drawing on the personal archive of Indian artist Lancelot Ribeiro. Funded by the Heritage Lottery Fund, Retracing Ribeiro will “explore the powerful role that art and artists have in shaping history” according to his daughter Marsha. The scheme brings together the V&A, the British Museum, Camden Archives, SOAS, Central St Martins and the Hampstead gallery, who kick off the year-long programme with an exhibition exploring Ribeiro’s life in NW3. Ribeiro first came to the UK from Bombay in 1950 to study accountancy. He stayed with his brother in Chalcot Square and took life drawing classes before being conscripted in the RAF. Following the success of his first solo exhibition he moved permanently to the UK in 1962 living and working in Belsize Park Gardens before moving to a flat on Haverstock Hill for the last 30 years of his life. A passionate advocate for artists from the subcontinent he fought endemic prejudice against those from minority backgrounds and co-founded the Indian Painters Collective, and Indian Artists UK. She hopes the project which features a series of events, talks, exhibitions and a creative learning programme with Central St Martin’s will provide an enduring legacy. “We hope to encourage new audiences and young people to engage with their history and heritage and, through my father, relate how that’s expressed creatively.”. Gallerist Nicholas Treadwell will speak at the British Museum on diaspora artists of the 60s, a film will explore aspects of Ribeiro’s life and, Camden Archives will host a heritage display of his life, and the V&A will hold an event exploring works held in their collection. Marsha adds that Burgh House, where her father mounted an exhibition of Asian art in 1980 has a strong “personal poignancy”. The exhibition runs at Burgh House from October 26 to March 2017.